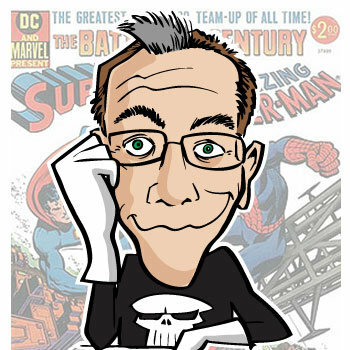 I recently had another opportunity to interview Gerry Conway, comics and TV legend! This time Michael Bailey (from the Views from the Longbox podcast) and I interviewed Gerry together. Gerry was extraordinarily generous with his time sitting down with us for about two hours. What a great guy! Previously I interviewed Gerry about Firestorm, a comic character he co-created with Al Milgrom. This time we tackled his entire comics and TV career, yet only scratched the surface of his body of work. As always, Gerry was a true joy to talk with. During our two hours together, we discussed how Gerry started in comics, his work on Firestorm, Steel: The Indestructible Man, Justice League Detroit, the Superman vs. The Amazing Spider-Man crossover, Iron Man, DC during the Explosion and Implosion and much, much more. We even get to talk some Law and Order: Criminal Intent.